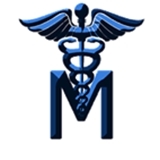 Major Medical LLC (Clinton) - Book Appointment Online! Your health and peace of mind come first! Dr.Major offers primary and urgent care, as well as office based procedures. He serves the metro area from the convenience and comfort of a private office, conveniently located in downtown Silver Spring. Blocks from the metro, eateries, and entertainment. This location is sure to serve your needs for wellness and urgent matters with the utmost professionalism and efficiency. Dr. Major also offers After-hour care for patients seeking urgent medical attention. *Please note we only accept DC/MD Medicaid ONLY.